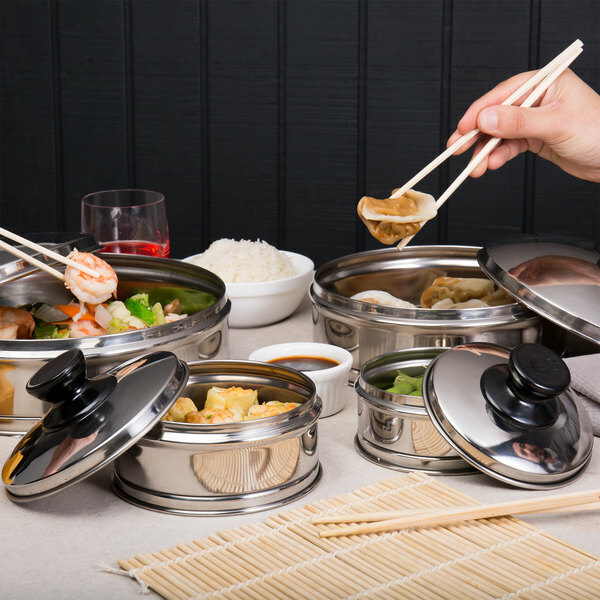 Bring the delightful versatility and variety of dim sum to your menu with this Town 36505 5 1/2" stainless steel dim sum steamer! 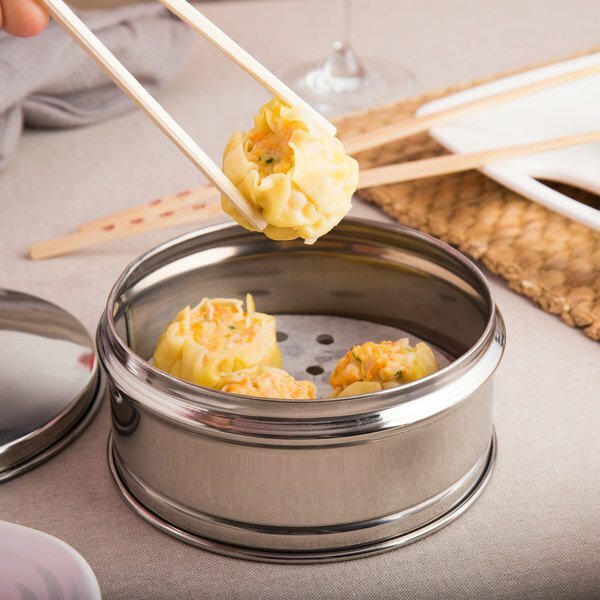 This sturdy yet lightweight steamer allows you to make delicious, customer pleasing dumplings and other dim sum items with ease. 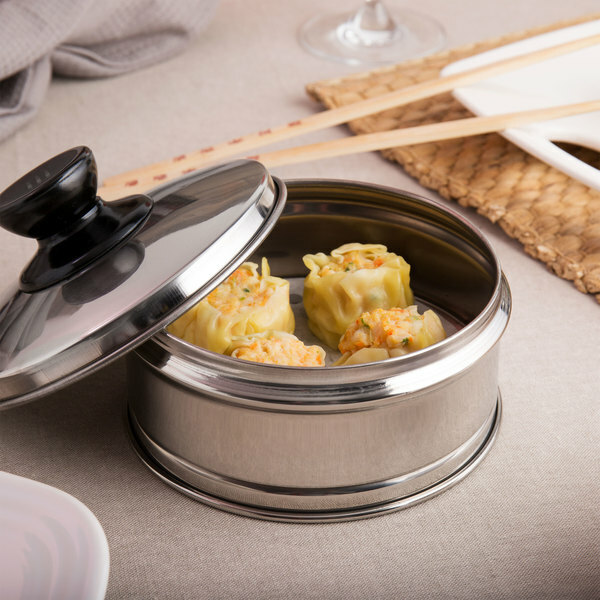 Functional and attractive, it can also be used as a dish in which to serve dim sum to patrons. Lid sold separately. 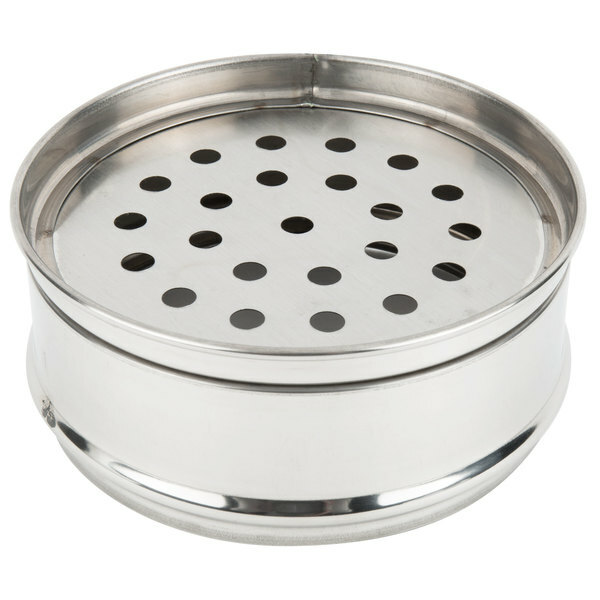 Town Bamboo Steamer Set - 24"
Like this product because it cleans easily and I don't feel it holds or locks any leftover food bits or gluten like the bamboo steamers do. These are great steamers. I love that its stainless steal. It can deffinetly withstand every day commerical use. Totally worth the small price. 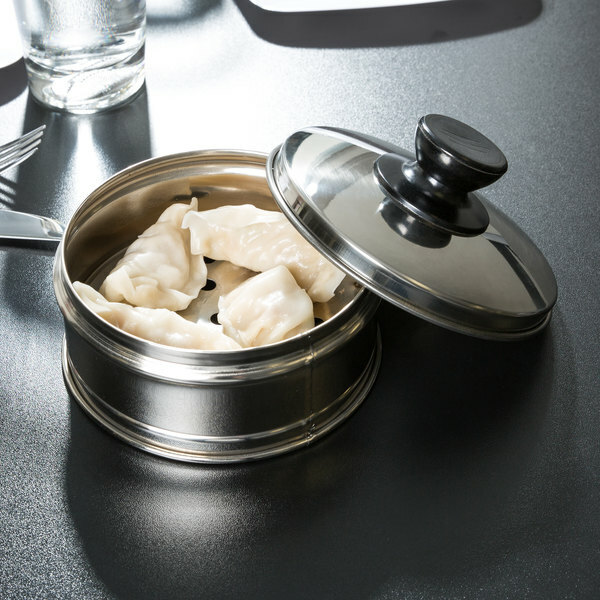 Great for steaming dumplings. I have several of these to make steam items for party or dinner at home. Everyone seem to love it, i know i definitely do love it. It is one of the best way to make steam items without an expensive steamer. 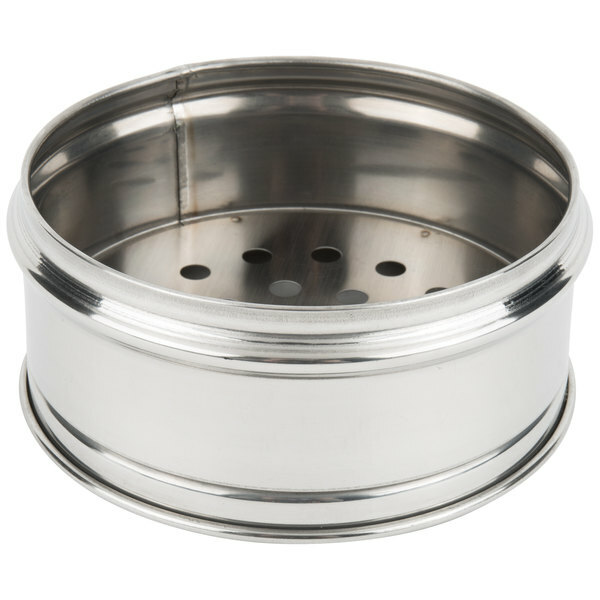 It is also convenience to use as serving dish. I will buy more.